I was following a story, and throwing my support behind an issue occurring in the country of Kazakhstan over the past year, involving the illegal imprisonment of a certain "Pastor BK." The story involves a mysterious city that's been built by the country of Kazakhstan. Rumor was that Pastor Bakhytzhan Kashkumbayev "Pastor BK" was working on a translation of the Bible into the language of Kazakh. But that's only a rumor. Inevitably he was arrested in May 2013 on false charges, for being a Christian believer in Jesus Christ. He was tortured, denied medical assistance, and they were treating him as if he was a mental patient, and that his faith in God was a delusion they needed to beat out of him. On October 8th he was released from prison, and then re-arrested at his home that same day. This is often done to mentally torture the victim. They feel the powerful relief of being freed from prison, and then they are suddenly re-arrested and forced back into the prison cell they thought they had finally escaped. This same method has sometimes been used by organizations in the United States like the FBI, on journalists and political prisoners. That's the kind of world we live in. It's ironic that Christians would face persecution in a country like Kazakhstan. This country has made headlines in the past year regarding a mysterious and strangely designed city, now their capital city, called Astana. 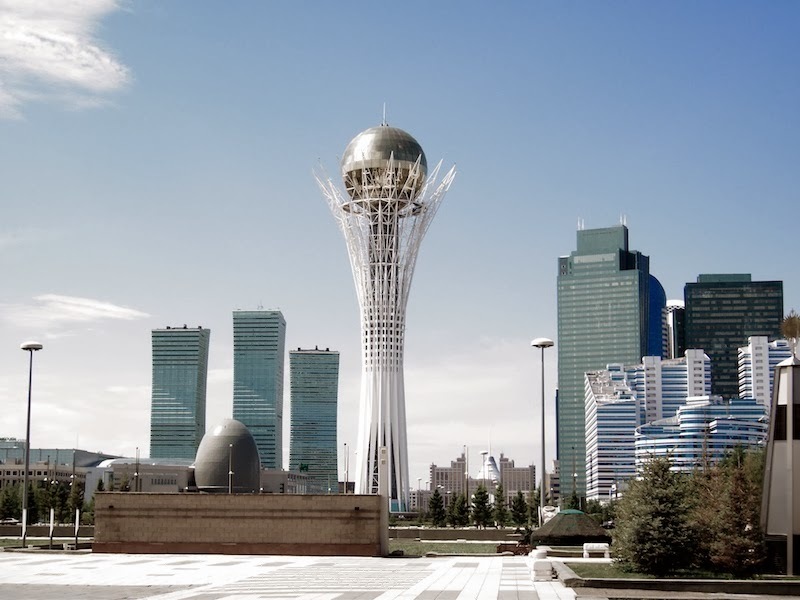 CNN article on Astana architecture. Just a few years ago there was nothing in the area known as Astana, and the president of Kazakhstan chose to construct a city out of nothing in this area. If you page through pictures of the city, you'll notice plenty of occult imagery. A photo of the "Palace of Peace and Reconciliation." A photo of the tower at the center of the city. Kazakhstan has been noted to be a tolerant and welcoming place for diverse religions and spirituality. Ironically, they quietly lock up and torture Christians. Maybe God is giving us a living message here in what happened to Pastor BK. 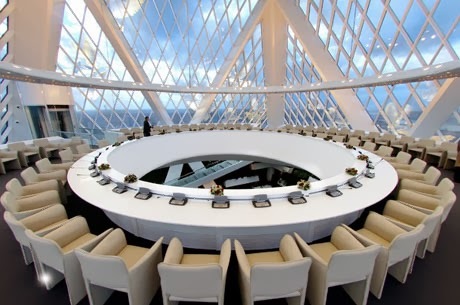 Some suspect that this city could eventually be the seat of the Anti-Christ, as it has just the sort of ring of "New Age Inclusiveness" and unifying world religions for peace. Intriguing Article and more pictures here. Naturally it's hard to nail anything down as fact, but these theories shouldn't be dismissed lightly. I got involved with the International Christian Concern right around Christmas 2013 in aiding in the release of Pastor BK. We sent emails, shared pictures, made phone calls, and tweeted the Kazakh embassy. 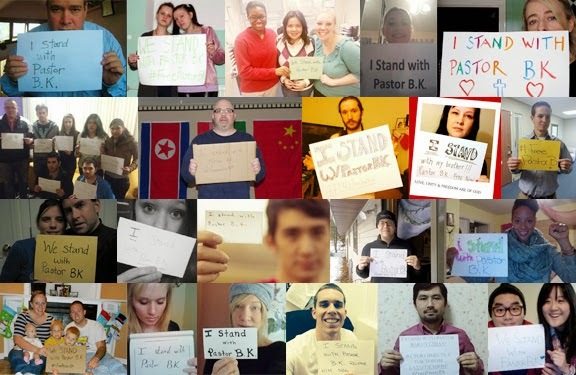 People also made pictures to show their public support for Pastor BK. 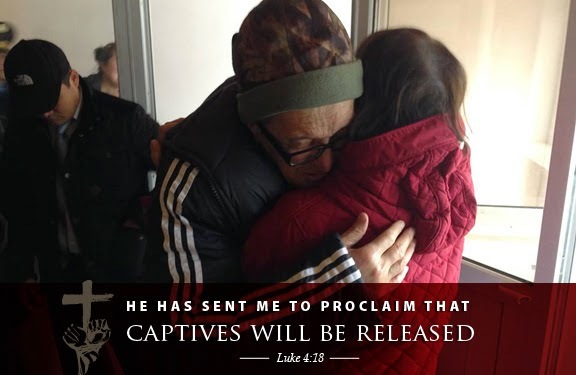 After more than 200 days of being imprisoned, Pastor BK was released by the Kazakh government. We are still praising God that Pastor BK is out of prison, and home with his wife, able to receive medical care. But the battle isn’t over and we still need your prayers. 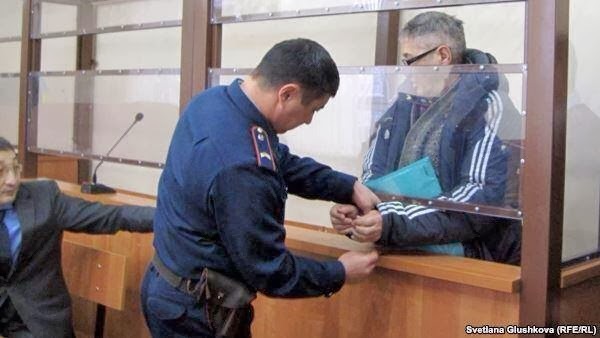 “Kazakh authorities found Pastor Kashkumbayev guilty of bringing physiological harm through prayer. This precedent can be used against any other pastors in Kazakhstan in the future,” said Russian Ministries. 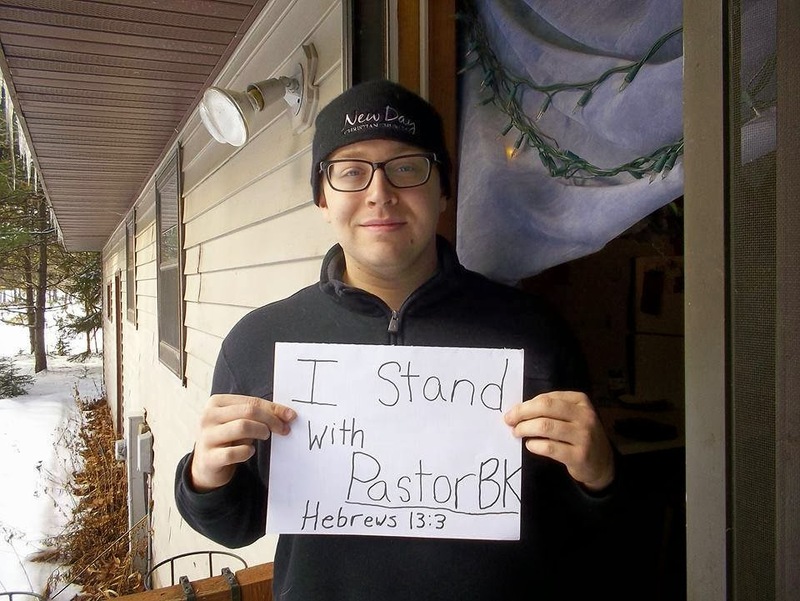 We must continue to pray for Pastor BK and his lawyer as they appeal this guilty verdict. We must also continue our efforts to ensure that believers, and people of faith in Kazakhstan, can exercise their rights to religious freedom." He was released but found guilty (a face-saving measure). This could set a precedent for other pastors in Kazakhstan to receive the same treatment. Pray for the safety of Christians in this country. Pastor B.K. and his lawyer's plan to appeal the "guilty" charge. Please pray for the success of this case. The repeal of his fine of $10,800 USD which is under appeal. That Pastor B.K. and his family would sense God's presence and experience healing from the trauma over the last nine months. Pray especially for Pastor B.K. 's health to improve. Thank you very much for your concern for our brothers and sisters in Christ around the globe. Peace be with you.